For all regular piano transprt and deliveries, we use a third party Tenniswoods. Based, in the North East, Tenniswoods offer a competitive, full and part-load service running up and down the country. 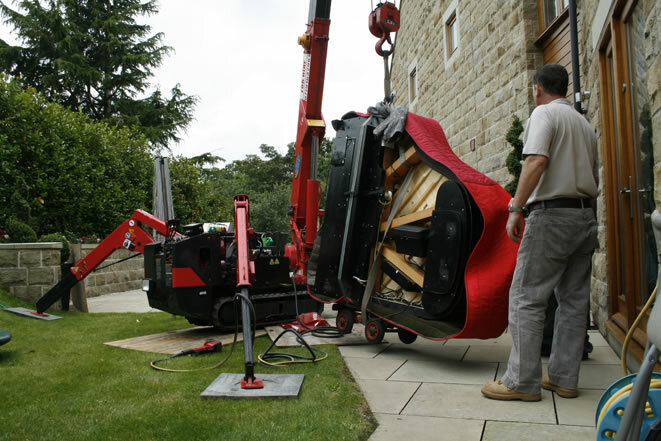 With over 34 years of experience, Besbrode Pianos offers a specialist piano moving service. 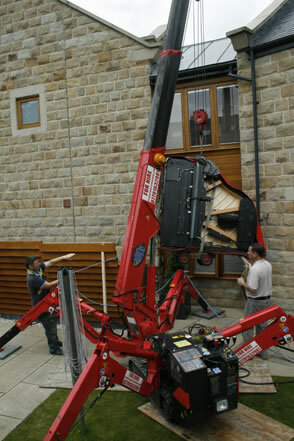 If moving your piano is looking tricky, contact us with your requirements and we will work out the logistics. 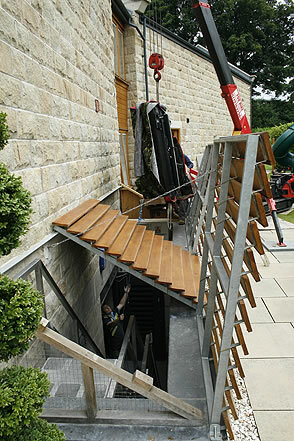 Recently a spider crane was required to move a piano with fitted pianoforce system into the basement of a house as the spiral staircase was too tight. The Spider crane is in place and its legs extended, ready to pick up the piano. 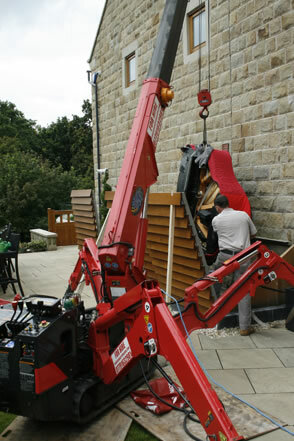 The Spider crane lifts the piano. 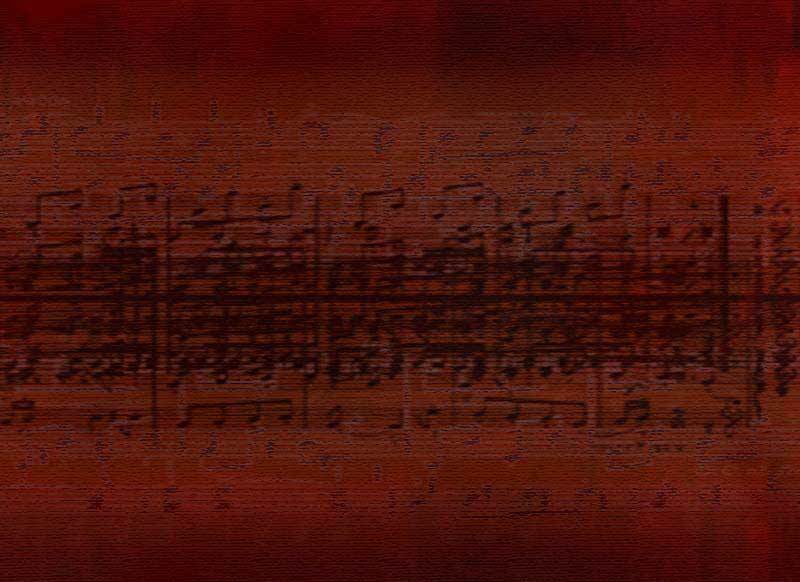 The piano is lowered through a small vent at the side of the house.